When the haters of remnant Christian civilization struck Paris last Friday the 13th, many kept saying that it was “unreal” and “inexplicable.” But the blood was real, and the cruelty was totally explicable by the history of false religion and its embrace of evil. Fittingly, when the attack began in that concert hall, the band was playing a cacophonous piece, barely distinguishable from gunfire, called “Kiss the Devil.” Only those afflicted with the illusion of secular progressivism as a substitute for the Gospel seemed bewildered. Evil is real and explicable by the Fall of Man. Through the battles that have been fought and endured as Mass was being said on our altar, those who knelt here have promised to renounce Satan, and all his evil works, and all his empty promises. 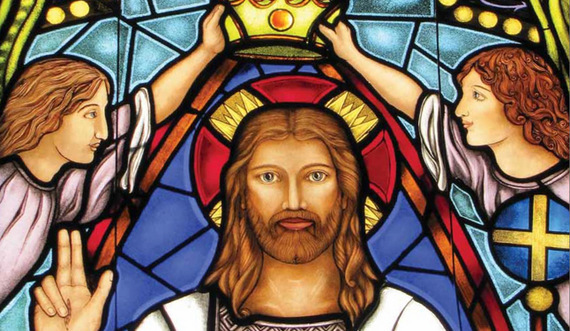 Christ is the King of the universe because “He is before all things and in him all things hold together” (Col. 1:17). To deny that is to be left in a moral whirlwind, thinking that evil is unreal and the actions of evil people have no explanation.